I am 38 years old. I am a performer, teacher, writer, mentor, arts administrator and dance dreamer. I have lived the life of a dance-teaching artist since age 21. I pretty much have made all of my income by teaching or arts administration. All of these years, including during pregnancies and with infants at home, I have performed several times a year. To me, it has all counted as “dance” and “professional work” in my mind – teaching in public schools, running Shawl-Anderson Dance Center, co-directing the Dance IS Festival, creating my Life as a Modern Dancer Blog. And at the heart of all of it was my performing work. I have performed for 14 years with Nina Haft & Company, on and off with Paufve Dance for ten years, and several years with choreographers Dana Lawton and Martt Lawrence. I have a strong personal mission to shift this picture of “making it” in modern dance in the United States beyond the image of having the full-time gig in a company like Bill T. Jones or Trisha Brown. This was one of the main reasons I began the Life as a Modern Dancer Blog two years ago. Making it can mean so much more than that narrow definition. Have I “made it?” Have I had a life full of dance and all of its manifestations? Absolutely! Have I contributed to communities and made dance more accessible to young people? Yes! At the end of each week, do I feel good about how I have spent my days? Yes! In recent years, to my surprise, my writing work has been a great interest to me and satisfies a lot of my creative needs. I run three blogs, write articles about dance and arts education, and have a book coming out in winter 2014 on teaching dance to middle school age students. My Life as a Modern Dancer Blog, which is geared towards college students, is being used in dance departments around the country as a “living textbook” and had 10,000 readers this past academic year. I was really proud to reach that milestone and to share weekly artist profiles on this very topic – the many ways to make it and have rich lives as dancers. “In this world I am as rich as I need to be.” That line is from the poem “Winter” by Mary Oliver. I feel so rich. My dance life includes an incredible group of friends and colleagues who continue to support each other in many ways. As a performer, I still love sinking my teeth into a new and unknown dance project. I have my health, which keeps me in classes twice a week and teaching about 20 classes a week. Does “making it” mean that your income is through dance work? I am blessed with a full-time, benefited dance job at an incredible school in San Francisco, The Hamlin School. All of the students in grades 6-8 dance at Hamlin. The students are amazing – curious, risk takers, imaginative, and eager for real-time, face-to-face interactions in a dance class. The head of Hamlin is a strong believer in the power of dance in education. I feel like I have made it with this job – spending my days in a supportive environment dancing and being paid to do it. On the home front, I am married to an athlete and have learned so much as we have chased our dreams over the years – mine in dance and Chris’s with triathlon, cycling, and now ultra running. Chris raced as a pro triathlete in his 20s, and now at age 43 just completed his first 100-mile running race. We are two motivated, determined, movement-loving people. One of the main take-aways that I want to share from my years of being married to an athlete is – there are days when Chris gets first place in a race, other days when he hopes for the top 10 or 20, and some days when he has to DNF (did not finish) in a race even after months of preparation and training. The potential is always there for the first place, and also the possibility of the DNF. This information has helped me on days when I didn’t get an email to participate in a particular project….I still have faith that the invitations and job offers will come. And other days are the “first place” days. Some projects I get the main solo, and some projects I don’t even make it in the door. A life in dance is not a solo life. Dance is literally a lifelong pursuit, and we cannot underestimate the value and importance of those who are integral to making our dance careers develop and last. -I am eternally grateful to my parents, for their continuous support throughout my childhood and adulthood to study dance, drive me to hundreds of dance classes, major in dance in college, and support every crazy dance dream that developed. -As previously mentioned, a supportive spouse/partner is invaluable. My husband supports these dance dreams and the tons of logistics to get me to work and to rehearsals, and to support my dance career as well as raising our two sons. -Build a strong community of dance friends and colleagues. I am one of many who consider Shawl-Anderson Dance Center in Berkeley my “dance home.” It is where I take class, rehearse, where I used to work, and it is the meeting place for so many people in my life whom I consider very close friends and colleagues. These amazing people are my network – and I am theirs. We are friends, fellow dancers, mentors, cheerleaders, references for jobs, and much more. 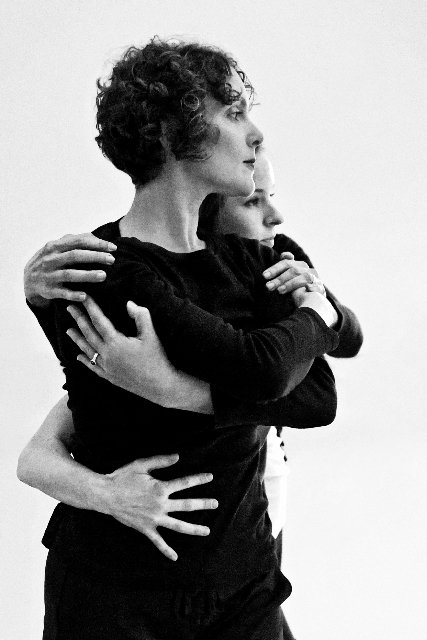 Do I wish that I had a stint with Trisha Brown? Absolutely! It just won’t be in this life. But, at age 38, I still have dreams. I still hold onto performing at Jacob’s Pillow (or at least them selling my books at their store), publishing several books on dance, and leading the way with more intersections of dance and technology (stay tuned). I feel that I have a few more performing years in me too. I also have just embarked on a two year journey towards earning my MFA through the new Saint Mary’s College low-residency program. My brain and spirit have needed this for a while. Have I “made it?” The statement is more like, “I am making it (present tense).” How lucky am I – how lucky are we – to spend our days dancing, making dances, in a studio, creating with young people, writing blog posts read by hundreds of young dancers each week….I love it. Last, I want to mention that part of “making it” to me is also being a resource for others here in the community – as a mentor or as a resource for information. I am lovingly called the “dance kiosk” by some of my friends. And this is truly one of my favorite things to do in life – help others find a job, bounce around an idea, and be someone’s biggest fan as she tries to get into a company. I love all of my dance life. I love performing and sharing with an audience. I love teaching teenagers. I love responding to an email about a lesson plan idea with someone I am mentoring. I love dreaming up my next book project and internet idea. “Making it” needs to focus on that one word, MAKING. Am I making dances, and making things happen? Indeed. Every week. Jill Homan Randall grew up in Lancaster, Pennsylvania. She received her BFA in Modern Dance in 1997 from the University of Utah and is currently working on her MFA at Saint Mary’s College of California. She has performed in the Bay Area for 16 years with Nina Haft & Company, Paufve Dance, Dana Lawton, and Martt Lawrence. Jill co-directed the multigenerational festival, the Dance IS Festival, for 7 years. She currently teaches full-time at The Hamlin School in San Francisco. In 2013, Jill was awarded the Herbst Foundation Award for Teaching Excellence. Jill maintains three blogs on dance: Life as a Modern Dancer, Dancers Using Technology and Dancing Words Blog. Her book, Middle Dance, is scheduled to go to print in late 2014 (www.middledance.com). This was a TREASURE to read. Jill is one of my dearest friends, champions, and co-conspirators in the magical lab of dancing life.